We got our girl today! This post will be mostly pictures as we are all worn out from this emotional day. There have been some tears, and a few smiles, but she is doing well overall. Enjoy the pictures of our girl! aww .... I am so pleased for you both ... I have been following your blog for the last few months and its so lovely to see such happy photos ... Congratulations, she is beautiful! Congratulations Joanna!! She is so beautiful!! YAY!!! I'm so happy for all of you!!! She's such a doll!! I hope the rest of your trip goes smoothly! Many, many congratulations, together at last!!!! Your daughter is soooo beautiful and she looks like she is quietly soaking it all in. So happy for you all and hope you all have a restful night ready to wake up tomorrow and get to know each other! What a beautiful family of three! She is so very pretty!!! Congrats! Hi it's Amy, Katie's old neighbor (Rockville). I am SO glad I randomly clicked thru to your blog this week from Katie's. I am so very happy too see this turn of events!!! M is gorgeous and you guys make a lovely family. Best wishes coming your way from Iowa!! At last! Congratulations Joanna. She is even more beautiful in your arms. Thank you for taking the time share your special day with us. Enjoy your special day. congratulations. she looks perfect, just where she belongs. 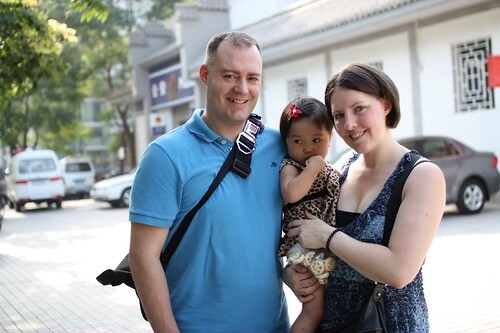 i've been following your blog for a while and it makes me so happy that your little girl is now at home. congrats again ... cant wait to read about your journey! 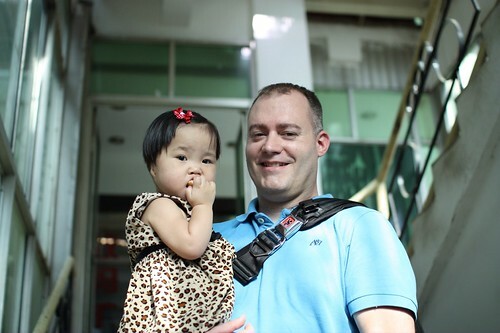 Another Beautiful Xi'An Girl has a forever family. 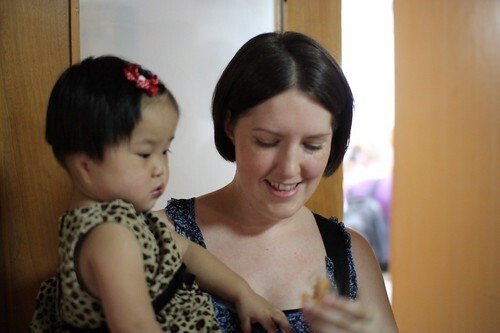 Every night Izabella and I pray that all her orphanage sisters and brothers meet their forever families soon, very soon. And today there is word, one more has! What a huge blessing. Sooooo incredibly happy for you all! Mackenzie is absolutely gorgeous. What a beauty! Congratulations on becoming a family. What an exciting day for you! BEAUTIFUL! She looks comfy in your arms! I could look at Gotcha Day pics all day long!!! !